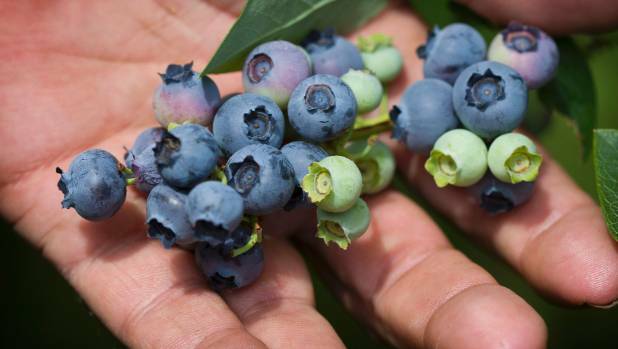 The blueberry season has come and gone early in Manawatū because of warm weather. Co-owner of Blueacres​ in Pohangina Valley, Gloria Hall said they usually had a season which lasted through January. But she said every year was different, and last year the wet winter and spring, followed by a dry December brought the berries on early. She said the yield was not as big as usual. An early season is over at Blueacres due to warm weather. Blueacres is a pick-your-own orchard when blueberries ripen, with some berries frozen for the other months. Hall said people rang as they did each year, to see when the blueberries would be ready. She said the owners had about 2.4 hectares in various varieties of blueberries, including earliblue​, supported by berkley and ivanhoe. The bushes were pruned to keep the berry size constant, and low enough to be picked. ​Other growers throughout New Zealand also reported the season had been early. 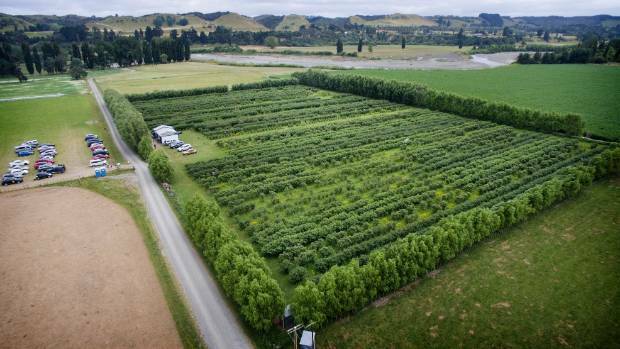 At Blueberry Country Otautau in Southland, hot weather advanced the blueberry picking season almost a month ahead of schedule. General manager Simon Bardon said the early start had far exceeded their expectations. “Quite frankly, we were anticipating they would be ready about mid-January. “If you go back the past two seasons, we were saying mid-January and actually it was late January by the time the crop was at its best. Bardon said pick-your-own blueberries had started on December 30, with commercial pickers starting on January 8. “I really think that it has been the exceptional weather. We enjoyed a favourable winter, and the reality is we are enjoying good early growth.